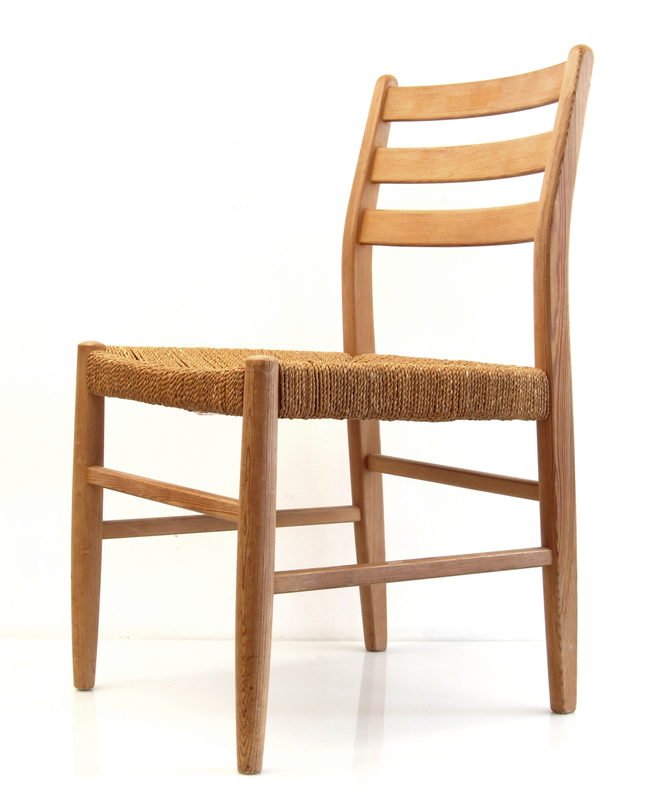 Scandinavian 50s wooden retro chair. Presumably from a Danish design and manufacturer. Dimensions: height 84 cm, width 46,5 cm, depth 50,5 cm.